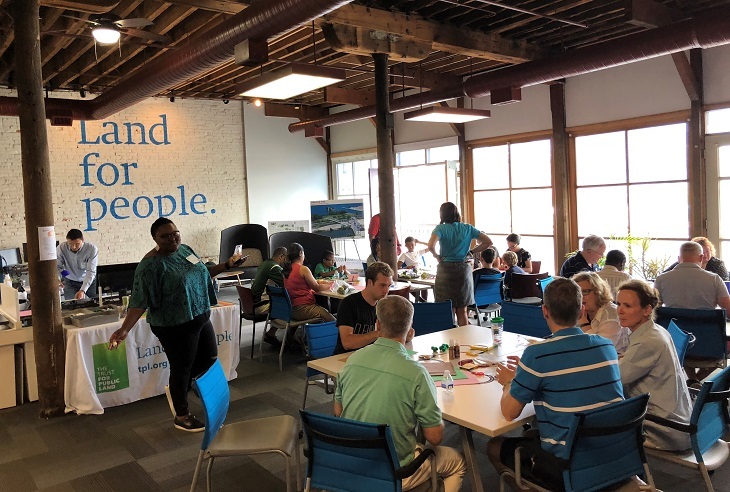 Our #SummerOfPurpose blog series followed this year’s Cleveland Foundation Summer Interns as they spent 11 weeks working with Cleveland-area nonprofit and public sector organizations. 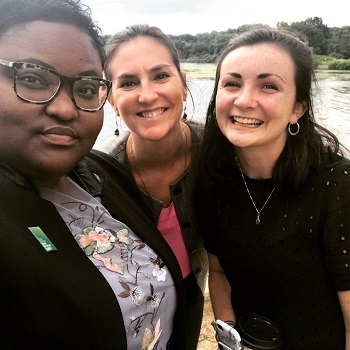 In today’s blog we hear from Caitlin Matthews, who spent her summer working with The Trust for Public Land where she supported the planning and hosting of community engagement events with Lakeview Terrace, the Community Park Listener Program, and a set of core research projects. 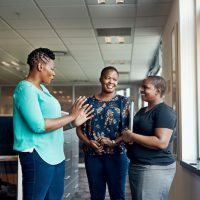 Last summer, I had a very client-oriented internship at a nonprofit in Atlanta that I loved, and I decided that I needed to see the more behind-the-scenes, nonprofit management side in order to have a more holistic experience while considering future careers. 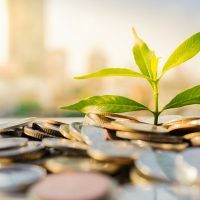 This internship program has been the perfect chance to gain this experience, especially in areas such as philanthropy and program development. 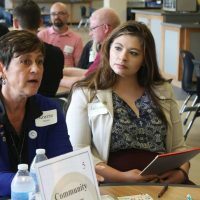 It also allowed me to be exposed to 20 other nonprofits in the Cleveland area – a unique aspect of this program that led me to participate in this one instead of others. Beyond the hard skills I’ve learned this summer, working within a state office of a national organization has shown me the extreme importance of collaboration. Working with other state offices, as well as local partners, to achieve our goals has reinforced my ideas of how much can get done when organizations are working together towards the same goals rather than competing with one another. Focusing on the goal and people you are serving, rather than simply getting credit, is key to bringing these partners together for the most effective work, and I know this is a lesson I’ll take with me to every future experience. Throughout my three years in Cleveland, I’ve grown to love exploring the different neighborhoods and seeing what makes them all so unique. 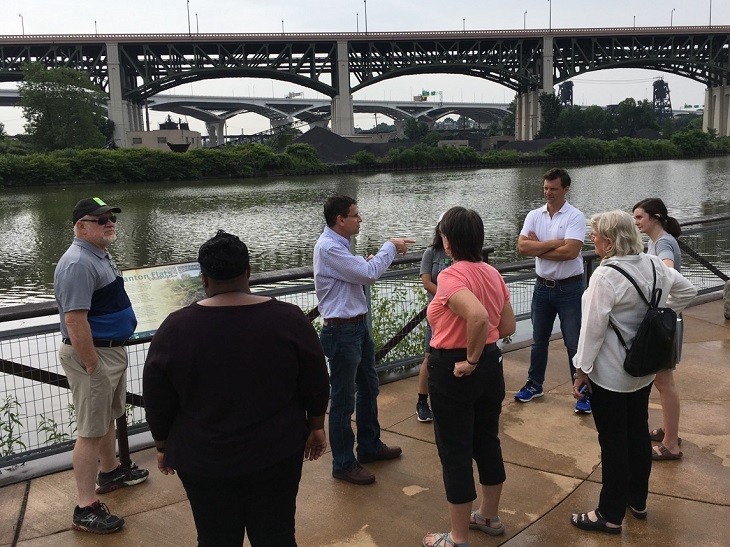 In addition to neighborhood adventures this summer, I’ve also learned more about and explored the awesome nature that Northeast Ohio has at its fingertips. From Cuyahoga Valley National Park to the Lakefront Nature Preserve and everything in between, it’s been an amazing way to de-stress and reconnect. Although I’ve known for a while that I want to work for a nonprofit when I graduate, I’m still deciding what route I want to take to get there. I know that I’d love for it to be in human services, especially at an organization that places an emphasis on human capacity and the power of community engagement and authentic interaction to bring about change. At our intern orientation, Erika Brown from Neighborhood Connections, shared with us a phrase that has stuck in my mind all summer — “networks should be transformational, not transactional.” My immense professional growth has come not only from my host site, but also our civic immersion days, where we visit the organizations where the other interns are working. Beyond expanding our knowledge of Cleveland nonprofits and their missions/services, these days have also allowed us to talk with nonprofit leaders, the mayor of Cleveland, the CEO of the Cleveland Foundation and so many others. Erika’s framework has reminded us all of the transformational, not transactional, power of these days, and this has allowed me to fully appreciate how Cleveland’s nonprofits (and public sector) are working collaboratively to address challenges to make Cleveland a more equitable place to live, work and play. The power of partnerships and collaboration will stick with me long after this internship is over. Do it, do it, do it! Not only has this internship given me so many opportunities for both personal and professional growth, but I have also met some of the most interesting and inspiring people my own age! With so many different colleges and majors represented, I really enjoy the different perspectives I hear at our civic immersion days. I won’t be surprised in the least if I’m working with members of my cohort at different organizations throughout our professional careers. How awesome! Congratulations to all involved. 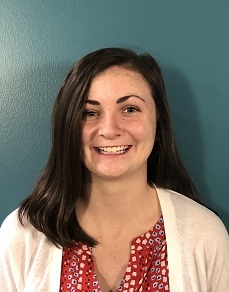 I’m sure this experience with the Cleveland Foundation will have lasting and positive impact on Caitlin and all individuals and organizations she will serve in her bright future. I love this……………. “networks should be transformational, not transactional.” You go! Caitlin, you give me hope for the future. Awesome. What a wonderful experience! Great job Catkin Matthews! This is fantastic. Congratulations, Caitlin. You give us all hope for the future. So wish you would come back to Toledo!! Keep up the good work. OMG so awesome Cait Matt! Congratulations on all your accomplishments! I know you make your Momma proud! Wow! Congrats. Mom and Dad should be (and I know they are) proud! What a wonderful and exciting summer internship! Caitlin, I wish you all the best in your future endeavors. You have a solid foundation on which to build a very meaningful and impactful career that you will love! Caitlin I’m so proud of you. Nice to see what direction you are going in Caitlin. Continued success to you. So happy you got to experience this type of internship. Sounds like you have learned and benefited so much from both internships, but especially the most recent. So glad you are enjoying Cleveland. It’s a great city! You have grown so much and now you are flourishing! Keep doing what you love and share your experience and knowledge with others! You are a wonderful and beautiful young lady!!! Great job Caitlin. We are so happy for you and for the many, many others who will be touched by you in your chosen endeavors. You have been and will continue to be an inspiration to so many. Caitlin, it was an absolute pleasure and joy to have you on our team this summer. Your boundless energy and enthusiasm, not to mention your thoughtful and careful attention to the work, inspired all of us. We cannot wait to follow along on your journey – you are destined for great things!